Assemble at Singapore Changi Airport for your flight to Perth, the capital of Western Australia. Upon arrival, visit Kings Park and Botanic Garden for a panoramic view of the city and experience a walk through a canopy of trees on Federation Walkway. Thereafter, head to Swan Valley and visit a local winery to sample some wines as well as visit Mondo Nougat Factory. You can view the making and packing of nougat through the glass window, and also purchase nougat home. Next, taste delicious honey at The House of Honey. There are many story boards to read about beekeeping and honey and there is also a bee hive observation area. You may purchase some excellent Australian honey to take home. Then, proceed to Margaret River Chocolate Company, where you will have a chance to sample and purchase local homemade chocolate. 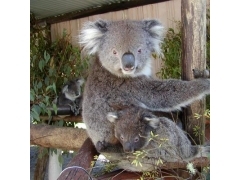 Next, travel to Caversham Wildlife Park to take photos with koalas and meet emus, wombats and kangaroos. You can hand–feed the animals and enjoy the amazing sights and sounds at the park. Thereafter, transfer to your accommodation in Swan Valley. Note Mondo Nougat Factory is closed on Mondays. Note Fremantle Market is open on Fridays, Saturdays and Sundays only. Note: Accommodation at the farm stay is on multi- share basis. Travellers will be assigned to different hosts. Farm activities may vary, depending on the farm. You may wish to bring a thank–you gift for your host. Note: Dress code for casino is smart casual. Note If you are taking an early morning flight, packed breakfast will be provided.